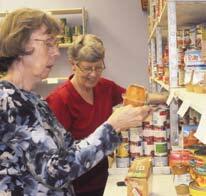 North Raleigh Ministries (NRM) opened in March 2004 as North Hills Crisis Center, supported in monetary and food donations as well as by volunteers from the five founding churches: St. Timothy’s Episcopal, St. Mark’s United Methodist, Trinity Baptist, Hudson Memorial Presbyterian, and Grace Lutheran. Today, North Raleigh Ministries is a collaborative effort of 12 member churches, other supporting churches, clubs, businesses, and individuals offering a helping hand to our neighbors in need. North Raleigh Ministries is comprised of three ministries: The Crisis Center (offering financial assistance for people during crisis), a client’s choice Food Pantry, and a Thrift Shoppe (selling items to generate revenue to sustain all NRM ministries). Our Crisis Ministry reaches out to children and families in crisis through intervention programs including giveaways (clothes, school supplies, holiday food baskets, weekend Back Pack Buddies, Christmas toys and stockings, Easter baskets, etc). 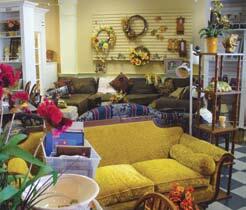 The Crisis Center also includes a food pantry, plus a developing daycare with preschool scholarships. NRM also provides direct dollars to families in crisis (through payments to utility companies, mortgage or rental companies, or pharmacies) assisting them through a difficult situation while preserving their dignity and self respect. NRM strives to help clients overcome their temporary challenges and return them to their previously stable and productive lives.